Hey everyone! 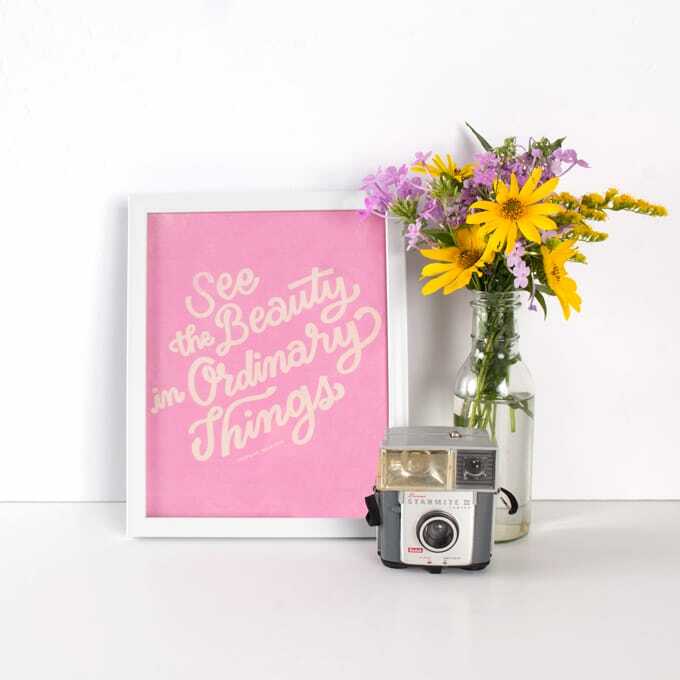 I'm so excited so share a couple little areas of my workspace with you today! I wish I could say that I have a gorgeous craft room filled with beautiful furniture and ample space and beautiful horizontal surfaces on which to create...and floor to ceiling windows with perfect light and fresh flowers and strawberry- & mint-infused water in a beautiful carafe and kids who don't argue with me and demand my attention whenever I sit down to get something done...but alas, I can't. My craft space lives in my family room...and, to be honest, it's the perfect place for me. I can be with my family and with my work and everyone is happy! I'm constantly struggling with the perfect way to organize and store my stash. I add/subtract/rearrange ALL the time. But one item I wouldn't be able to live without is my Estate Sale cabinet & hutch. This baby holds a ton and doesn't take up much space. The only thing it really needs is a coat of paint...maybe this summer. I keep all of my letterpress supplies & plates, dies & alphas on top of the cabinet...all in their own little boxes so that I can get to them easily. I've found that I'm much more likely to use the things I own if I can actually see them. I have an old computer table that holds all my mists, mixed media supplies, random embellishments and my stamps. A few weeks ago, Leena Loh posted on IG (@findingnana) that she was storing her stamps in Handbooks...and a light went on...and the skies opened up and the angels began to sing. I have been trying to find the perfect (for me) stamp storage FOREVER...and Leena nailed it. The Handbooks are fantastic for SC stamp storage! And, when I add the new We R Memory Keepers Instagram Album Page Protectors to the Handbook Page Protectors, I have the absolute right-sized storage sheets! Woo hoo! I keep my roller-stamps in an old frame I found that I use as a small tray. Again...as long as I can see what I have, I will use it. Having everything out and around me most definitely makes my space more cluttered and crazy-looking, but it works. Now, it's taken me a few months to figure out how I wanted to store my kits...old & new and future...but I think I've found a way. I like to keep all of the kits I get for the same month together. So, after I receive my add-ons and my PL kits I take everything from my SB kits and arrange all of the supplies in one of the large drawers in a plastic storage container I got at Target. When I'm ready to work on a PL spread, or create another layout with that month's kits, I just grab the entire drawer and work from there. I keep my future SB kits in yet another drawer so that when I'm creating for the new Gallery I can just grab that drawer. Once I receive the next round of add-ons and PL kits, I move the current contents of the PL/SB drawer to their next homes...and the new stuff moves in. The older PL cards go into another area for all of my cards...but the rest of the items go into an expandable folder. I'll come back to this folder every so often, just to refresh my memory and for inspiration. I love keeping everything together this way. It's so much easier for me to have coordinating items all set to go...I'm much more productive that way. Just another reason why Studio Calico rocks. I keep new collections (like the South of Market awesomeness shown here) in another drawer! I'm telling you...this way of organizing is just so easy for me! I try to keep the actual drawers organized, but even when they get ridiculously messy, I can just slide them right back into their cabinet and done. So there you have it...a little sneak into my space and how I keep some of my things organized. I hope you've enjoyed your little tour! And I hope I've provided you with maybe even just a little inspiration. I love your space Maggie, and I also do not have infused water in my crafting space, lol. I really like how you are using the Instagram page protectors to store smaller stamps in a Handbook. What a great idea! Love, love, love your space! I have almost the exact same set-up as you do with everything out around me. It I don't have it out and accessible, I forget it! You have a great space! Thanks for sharing! Some great ideas here! I really like that expandable folder. Nice use of the kit labels. Love to hear how you work! Organization is just for that. A functional order that helps you produce! It's great to see a way that keeps the kits together, and a way to have the current kit so handy. Lovely! My scrap desk is also in my living room and I struggle with how to keep it all arranged as well. I NEED to get those binders with clear pages for stamp storage. They are an absolute wreck right now. 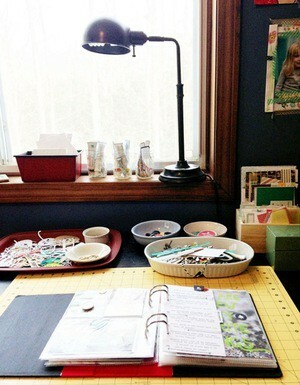 It´s a great workspace, love all your clear stamps! Love the 'old' feel! Thinking I should mix in something fun with my ikea cube shelving. This is so inspiring! I love how organized you are without having a designated room. I recently was kicked out of my room, I can't find anything, and I'm not making anything because of it. I'm definitely stealing some of your ideas! this is AWESOME!!! So many great ideas! I too have my scrap area/desk in the family room and love that I can sneak a little work in while hanging with the kids. 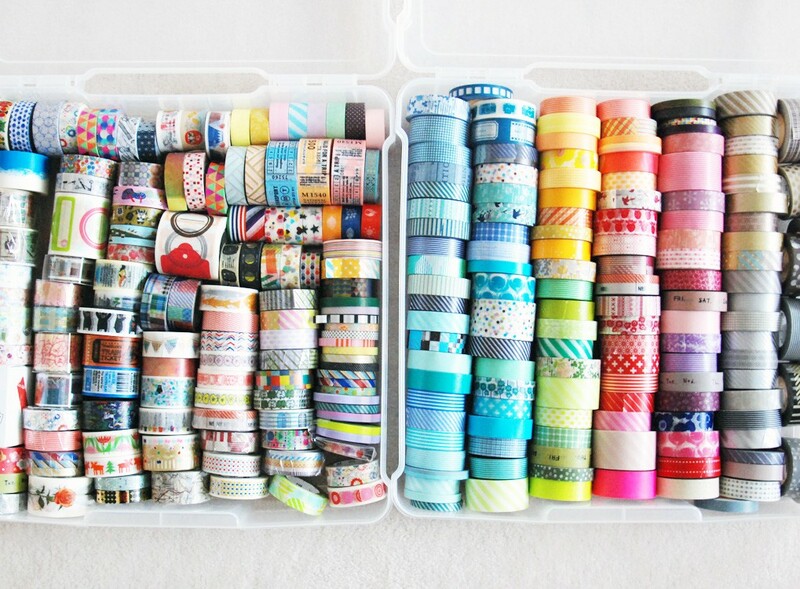 How did I miss that clear stamp storage genius idea?!! TOTALLY doing that this weekend!!! 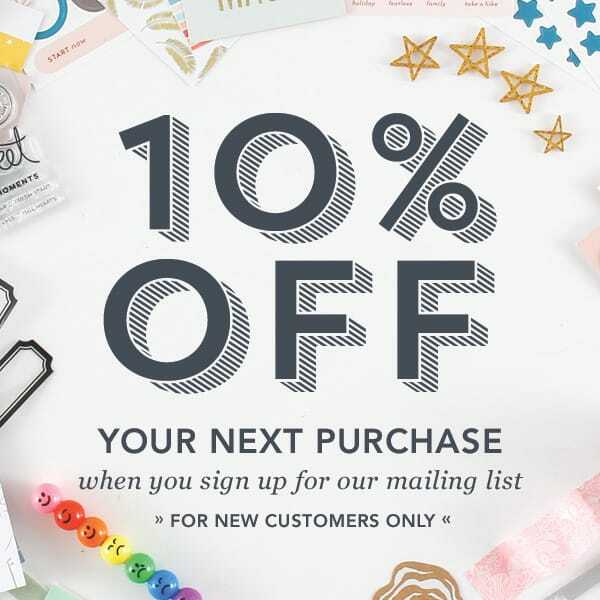 Exactly how I store my stamps! Thanks for sharing your setup! I'm still working on a way to store my stamps, though I'm loving the binder with page protectors! 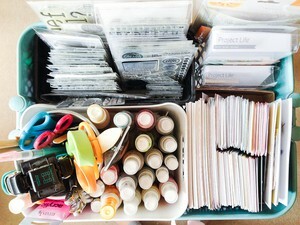 Though I think I'll need a few :P I don't really have a craft space (living with family and I kinda took over my hubby's desk), so I'm always looking at portable storage ideas. Thanks for the peek! That stamp storage binder is just awesome. With my growing collection I really have to find a good way and your way seems great!